Treasurer: Katy G - Katy G has been riding since Christ was a Corporal and before dinosaurs became gas. Her bikes were powered by tiny dilophosaur running in very small circles. She is responsible for managing the books, which isn't easy considering the chisel. She also helps to keep the rest of us rabble in line. Sergeant at Arms (Sergeant of HOTNESS): Sarah has been riding since 2012. 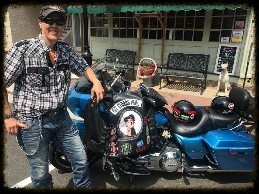 Her 2003 Harley is named "Jay Bird". Sarah lives in the District and owns and operates a public relations firm, Massey Media. Vice-President: Stacy was originally from Missouri but now calls Maryland home. 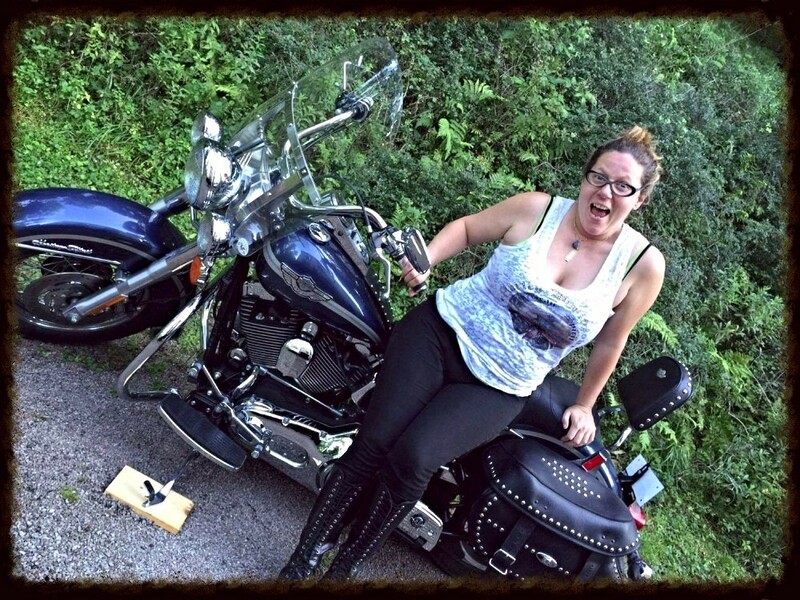 She has been riding for many years and now sports a 2014 Harley Davidson Switchback! President: Tammy has been riding motorcycles for over 20 yrs. 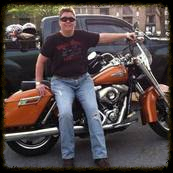 Tammy currently rides a 2011 Road Glide Custom named Pearl. She has ridden in freezing weather and miserable rainy days but of course prefers the sun in her face and the wind at her back. 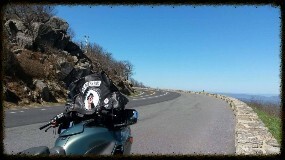 She loves riding in groups as well as solo rides to familiar haunts as well as new destinations. One day she plans on making a cross country run but until then, let’s ride and have a great time along the way. Tammy is an original founding member. Secretary: Katydid has been riding since 2003 and is currently the only member who rides a BMW. She tends to ride alone, unless it's with the Out Riders WMC. She lives in the mountains.